Living with teeth that are less-than-perfect can interfere with your ability to smile in pictures or chew your food, which is why you might be considering dental veneers. 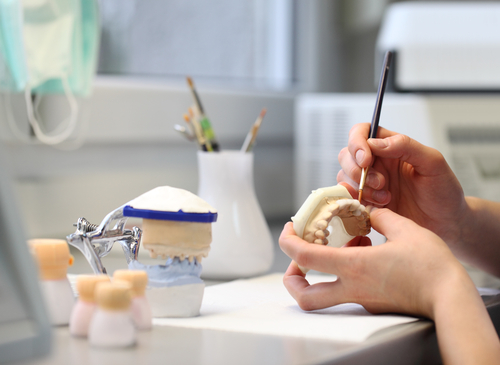 However, unless you understand the pros and cons of the procedure, you might be unprepared for the journey of restoring your teeth. Below is some information about the advantages and drawbacks of dental veneers so you can make an informed decision. Dental veneers, which are tooth-shaped, single-sided shells that cover the front part of your teeth, are designed to correct a long list of dental problems, including discoloration, surface texture issues, dental fractures, and even the appearance of crooked teeth. When properly installed and maintained, dental veneers can last for 10-15 years while protecting the underlying tooth from further damage. Additionally, dental veneers can be combined with other restorative treatments to improve the health of your smile. For example, teeth repaired with dental veneers can be straightened with orthodontic treatments and whitened through traditional teeth bleaching, allowing dentists and patients to tailor treatments to their dental challenges. Unfortunately, dental veneers also have a few drawbacks for patients, including the fact that they take longer to install and cost more than other restoration options. Additionally, veneers aren’t immune to damage, and patients who have a history of teeth grinding may not be candidates for the procedure. Also, since a small amount of natural tooth needs to be removed to make way for veneers, this restoration isn’t right for individuals who have severely compromised teeth, or who want a semi-permanent solution. If you are thinking about getting dental veneers, talk with the professionals at High Point Smile Dentistry in North Carolina. From complex cosmetic restorations and the treatment of periodontal disease to routine exams, cleanings, and repairs, these dedicated, friendly dentists will do everything they can to make your next dental appointment convenient and enjoyable. To learn more about how they can help, visit them online or call (336) 884-4000.